So much to catch you up on! 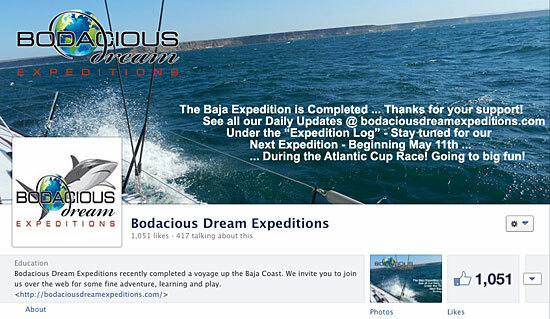 So, Bodacious IV is safely secured back in her San Diego slip … her “racing” crew has recovered from a great run from Newport Beach down to Cabo San Lucas, and the “delivery” crew has dispersed back to their homes following the completion of our very first “Bodacious Dream Expedition” back up the Baja Coast to San Diego. And what great fun we all had! Not being onboard for the NHYC Cabo race, I got to follow the race tracker as Bodacious IV got off to a slow start in light winds. But soon, the winds picked up and Bo IV began to work her way through her section up to second place in boat-for-boat competition. Her corrected finish was fourth. Great job guys! This proved a great test run for the upcoming Trans-Pac Race to Hawaii in July. Reports from the Bo IV crew are that the boat holds steadily fast when heading off the wind, which 75% of the Trans-Pac race is … so excitement is really building for that race. 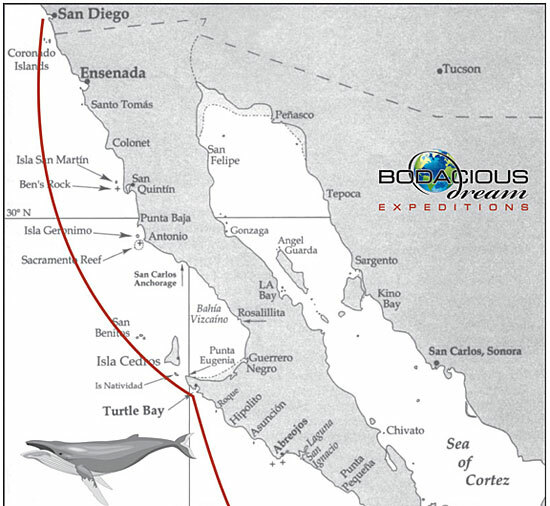 Once Bo IV was docked in Cabo, the delivery crew took charge of the boat, setting her up and provisioning her for Bodacious Dream Expedition (BDX) #1 – the first in a series of learning and exploring adventures along the way to the even greater adventure of my sailing Bodacious Dream around the world later this year! Did you get a chance to follow along with any of the Expedition on our BDX website or on our BDX Facebook page? Over the course of the week, we published 7+ daily updates with photos and videos sent right from the boat and posted to both sites. (All these materials (plus more to come soon) will remain available for viewing at your convenience at the above links. 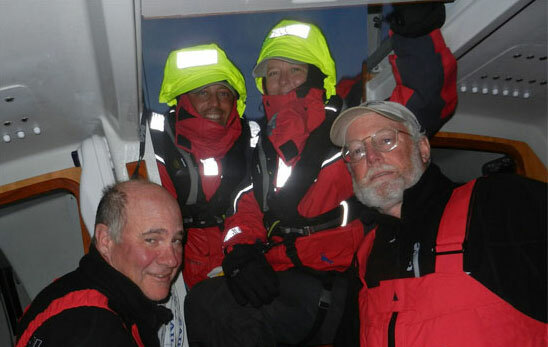 Joining me onboard Bo IV for this trip were Captain Tim Eades, Jonathon Pond, Heather Pond and Dave Hardy. What an amazing group of folks they are! We set off on the morning of Saturday, March 30th to a fare-thee-well wave from a humpback whale … just as we pulled out of the Cabo harbor. 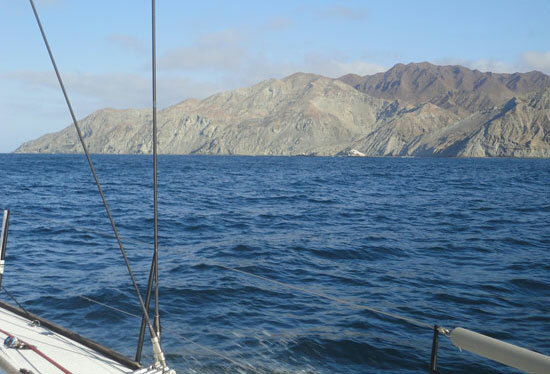 The coast of the Baja is notorious for its incessant winds, referred to by sailors as the “Baja Bash.” Well, we proved no exception to that rule, quickly getting hit with 20 to 30 knots of wind right on our nose the whole way. We followed local directives to stay in 60 feet of water along the coast, which kept the winds and waves somewhat under control. Day by day, we worked our way up the coast; laughing, telling stories, sharing our lives and watching the wonders of the Baja Peninsula unveil themselves to us as we rounded each corner of coastline. We saw a number of whale spouts, but none of the whales proved brave enough to come visit us up close. We did see a few dolphin stampedes, watched and recorded a feeding frenzy as the dolphins pushed bait fish to the surface where pelicans feasted in a rolling boil of water. We were visited by some fun-loving seals, and watched them play in the waves, body surfing alongside the boat like kids at a waterpark. All this amidst the magical cycle of sunsets, sunrises, fogs, and winds kept us all constantly engaged and inspired. Prior to the voyage, our BDX onshore team and I had drafted up a cool map and a set of six “Explorer Study Guides” specific to the nature and wild life of the Baja Peninsula, as well as guides for sailing terms and math. Along the way then, I wrote daily updates (not always easy in 30 knot winds) and sent them along with photos and videos to our onshore team who promptly posted them to the BDX website, to Facebook and to our BDX YouTube Channel. We also responded to several questions that were sent to us, and gained hundreds of new followers over the course of the week. Midway on the journey, we stopped in Turtle Bay to refill our fuel tanks and refresh, taking the afternoon off from the winds. Leaving again that evening, we worked our way along the inside of nearby Cedros Island before crossing the bay back towards the Baja mainland and continuing northwards. The night before landing in San Diego, we watched as light rising from Tijuana and San Diego seeped into the night sky causing the slow disappearance of the many softer, more distant stars that simply aren’t bright enough to pierce the luminous glow that rises from our big cities. I have observed this phenomenon many times now, and often find this transition from the open ocean into more densely populated areas, something of a passage between two worlds – the ancient one and the modern one … the entirely natural one we were born into, and the world that has been entirely made and remade by us. Knowing that we were on an expeditionary and documentary “mission” kept the crew busy scanning the horizons in search of interesting things to share with our online audience. For myself, the experience opened my eyes to just how unique and amazing such open-water exploration experiences can be, and how many things that I have perhaps taken for granted, might be newly framed and better communicated to people everywhere, who have not had the pleasure of a lifelong conversation with the great waters of the world and with their many breathtaking wonders. And then of course, there is the world ABOVE the sea too, which more than ever proved to be just as intriguing. Especially memorable was a solitary morning visit from a friendly seagull, which our ever-alert crewmate Heather managed to capture on video. The boat was often abuzz with discussions of what else we might do to better help young people to connect more with this limitless world. It seems that we are just at the beginning of a great transformation in models of education, and that “real-world” experiences like ours, once connected to the global Internet can play a significant role in that transformation. “Follow your bliss” is what Joseph Campbell famously said. Having taken that advice long ago, I now see a different sort of joyful opportunity that exists in sharing my experience with curious youngsters wherever in the world they might be. How many kids are there out there who have never even once thought what it would be like to stand aboard a sailboat as it slices through the water? So many unimagined possibilities yet to explore. With these expeditions, we are also looking to build more “professional” scientific, educational and media alliances … such as the one we have recently initiated with the Earthwatch Institute. If you have a moment, you might want to take a look on our website at our Explorer Guides and our Mentor Guide – and if you have any thoughts or suggestions, please let us know. We are entertaining all kinds of new ideas for this newest bodacious initiative that we will begin to fold into our future plans for upcoming Bodacious Dream Expeditions. Speaking of which … our NEXT expedition will be back aboard Bodacious Dream during the Atlantic Cup Race that begins May 11th, which starts in Charleston, SC, and where we will be racing to New York City and then around to Newport, Rhode Island. On this 2nd expedition, we’ll have the added excitement of the race to track plus many interesting elements of the Atlantic Ocean to explore – the currents of the Gulf Stream, the impact of weather and the history and geography of the cities on the constantly changing Atlantic coastline. As it is also a race … and a very competitive one at that, there will be a little more adrenaline in the mix this time. It will be interesting to see if we can keep all that excitement and interest contained … and uploaded to the web! In closing then … for all of us on Bodacious IV, the racing crew and our stellar expeditionary crew as well as our onshore team and dear friends and spouses, we thank all of you Bodacious Dreamers for being there and for allowing us to share all of this with you. … Dream on …! This entry was posted in Atlantic Cup, Bodacious Dream Expeditions, Bodacious IV, Captain's BLOG, Dave Rearick, Email Newsletters, Uncategorized by spoon. Bookmark the permalink.